I remember when my mother gave me my grandfather’s dog tag. I was ten years old. I never met the man because he died before I was born, but my mother made sure to never let me forget that he was a soldier who fought in the Korean war. After receiving his dog tag, my grandfather, the stuff of legends to a young boy like myself, became even more legendary. Being able to run my fingers along the cool engraving of his name tied my history tighter to a war that I only ever heard stories of. That moment brought me face to face with my military family line. I also remember the first time I heard Soldier’s Tower sing. 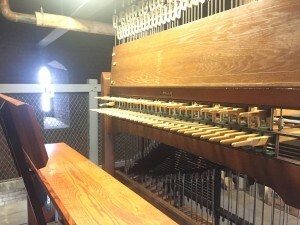 The hauntingly beautiful aria of the 51-bell carillon froze me in my tracks. 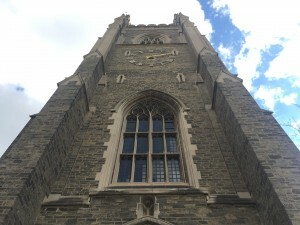 It was quarter to seven on a non-descript summer evening, and I just finished a workout at Hart House. I remember exiting through the back door and as I crossed the parking lot adjacent to Back Campus, the carillon started playing. I was confused because there were fifteen minutes left before the hour, but even so, every note that rang from Soldier’s Tower resonated deeply within me. Every note reminded me of the grandfather I never met. That day made me curious. Curious about Soldier’s Towers and the 51 bells that called it home. I wanted to know how old the bells were; how often they played; and if there was a mysterious hooded figure hidden away in the shadows, pulling the rope of each bell to make such beautiful music. 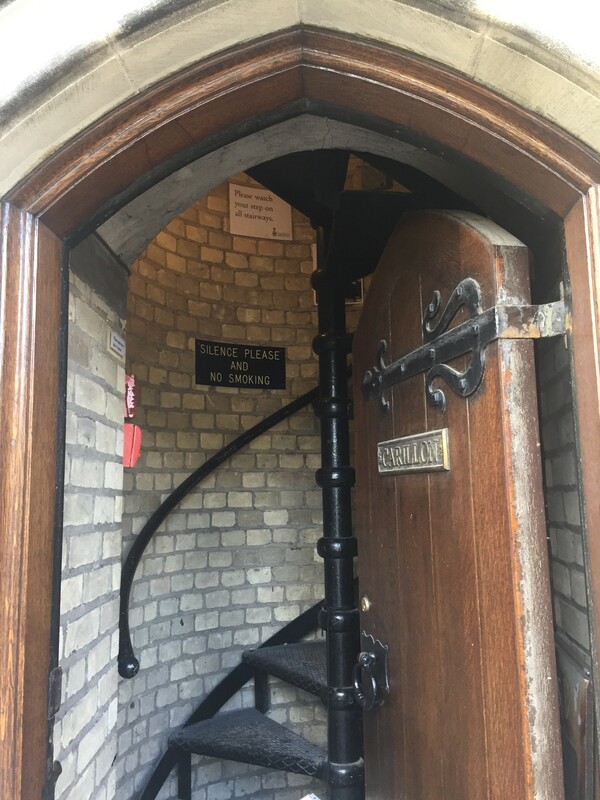 As I steeped deeper in my curiousity I made a decision to seek out whoever was in charge of Soldier’s Tower—the keeper of the bells. This led me to a lady named Kathy Parks. If you haven’t met Kathy, she’s a fountain of knowledge for wartime history buffs like myself. After hearing about my curiousity and my insatiable interest in wartime history, she agreed to take me on a tour of Soldier’s Tower to quell my wayward imagination. 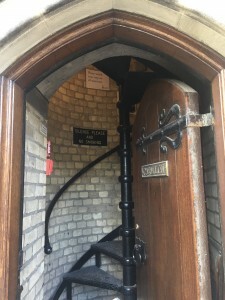 The tour began ascending a never-ending spiral staircase. As we entered the first room there was no shadowy figure lurking unseen by the masses, nor were there romantic ropes tied to each bell waiting to be tugged to make music. Instead, what sat in front of me was a bizarre looking instrument that reminded me of a small church organ whose keys had been replaced by foot pedals. But as strange an instrument as it looked, the sound that emanated from each push of a “key” bellowed so beautifully in the air that it was difficult not to fall in love with it at first sound. Kathy explained that though there were several carillonneurs, the main carillonneur is U of T Alumnus, Roy Lee (who also teaches lessons for those interested). She then brought me up to the bells themselves to gaze and marvel at how large they actually are. She told me that the original 23 bells were installed in memory of those who fell in WW1, and that the rest of the 51 were installed afterwards in memory of those who fell in WW2. 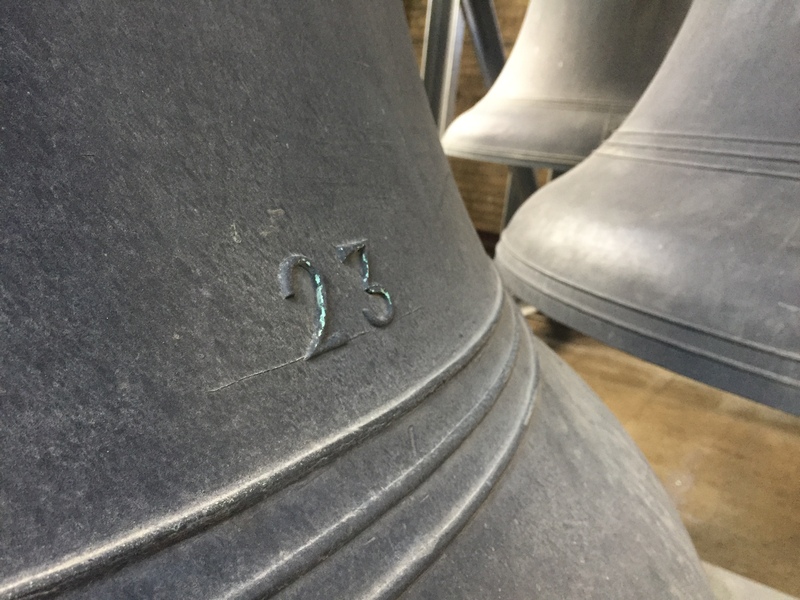 The first 23 bells are larger than life. Walking in between them and running my hand along one of the bell’s cool surface helped me understand how they produce such majestic music. 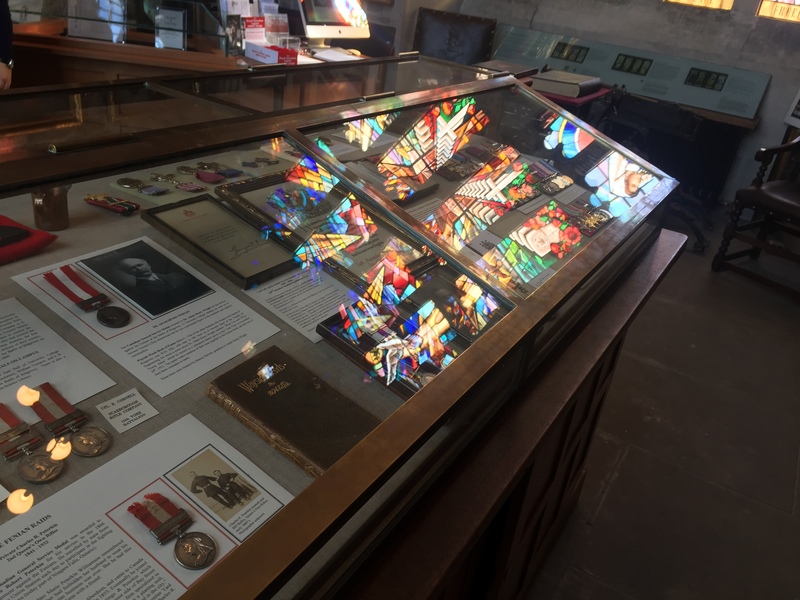 At the end of the tour, Kathy took me through the Soldier’s Tower Memorial Room, which is open to the public. I never get tired of this place. 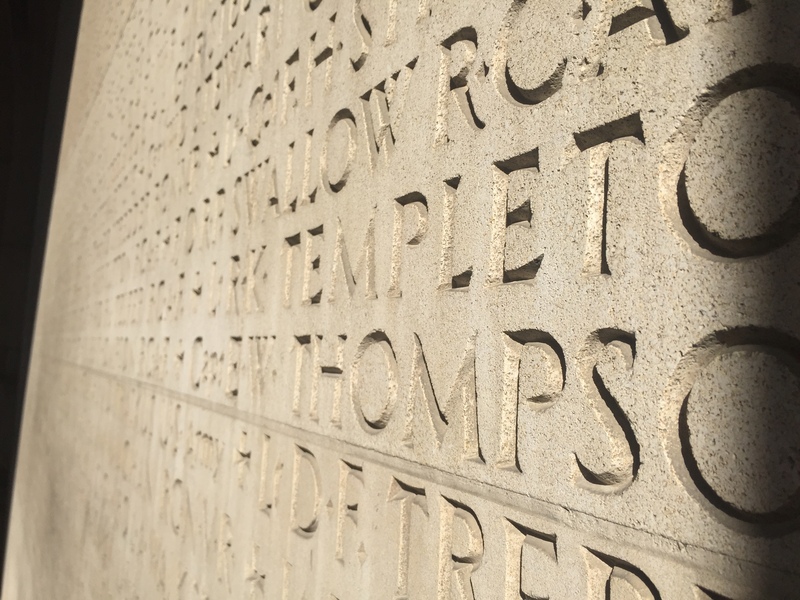 It’s a constant reminder of the deep connection that U of T has to the two great wars that shaped the twentieth century and brought us to where we are today. Each stained glass window has a story to tell and each medal on display has a connection to U of T in some way. 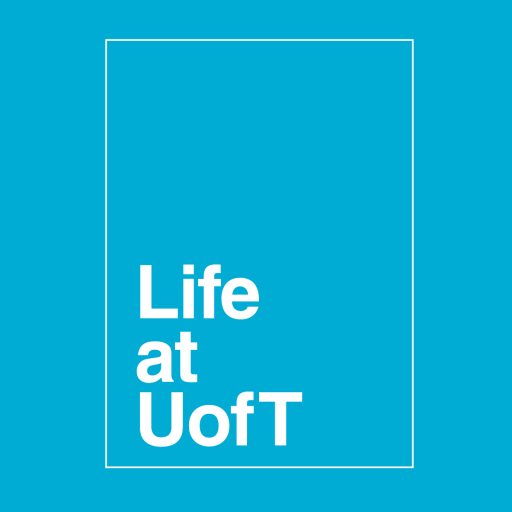 Even the poem “Flanders Field” takes on a new meaning when you realize that John McRae was a U of T alumnus. I know that every mention of war I’ve made has been in the past tense. 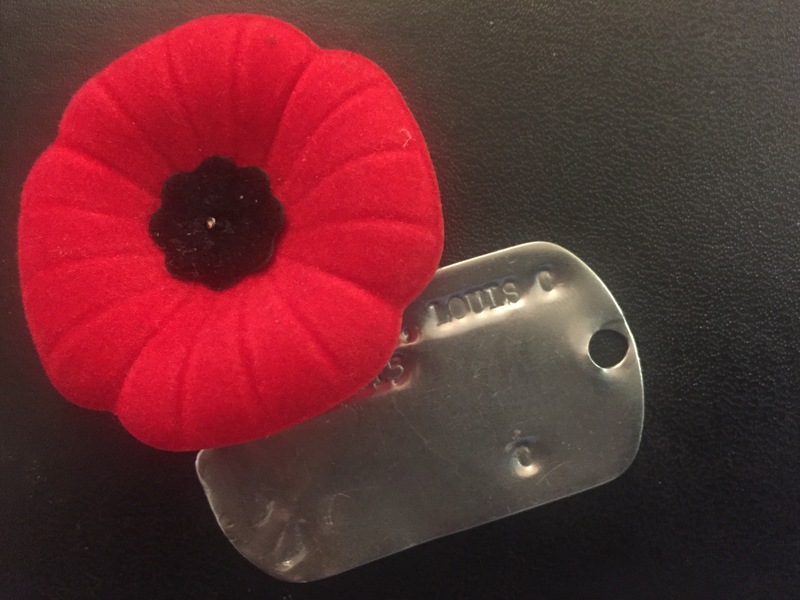 It would be unfair not to mention the many Canadian heroes out there today serving our country in a way that I never would have the courage to do, and I am forever grateful to every one of them for their service. Every Remembrance Day, while I try not to lose my poppy, I remember that in my life, the story of war is never too far away. I am intimately connected and because of this I’ll never forget to honour every brave man and woman who has served and sacrificed for our country. 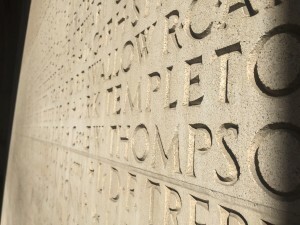 So with every note that the carillon sings that ripples through my soul, their glorious memory will eternally live on.